Aldan and Theron – twins! 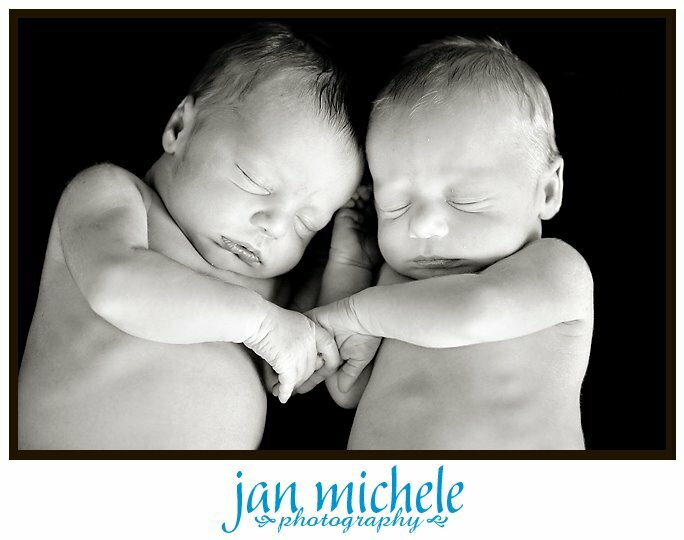 My friend Lauren had twin boys recently and we thought it would be fun to get some sweet shots of them together. Well, easier said than done! After several hours on day 5, we gave up to try again on day 8. 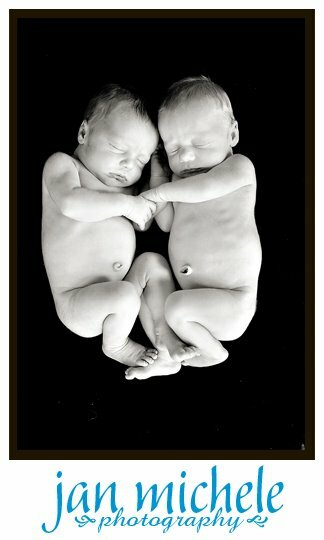 After another couple of hours we were able to get them both asleep at the same time for a few moments and I grabbed these shots. With a combined weight of about 16 pounds they are not as small as they look! They are both sweet boys, but so different already. Aldan has brown hair and Theron is blond, so they should be easy to tell apart. Here they are at 8 days old. © 2019 jan michele photography|ProPhoto Photographer Site by NetRivet, Inc.